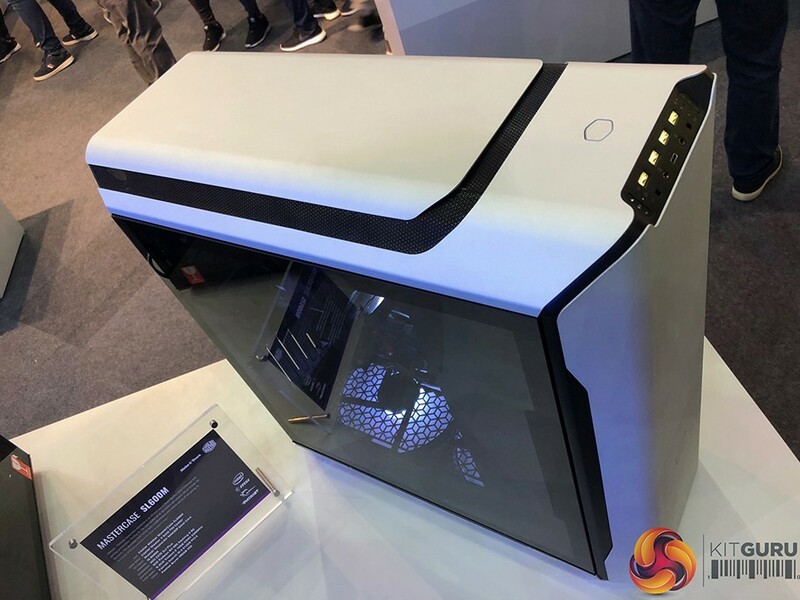 During Computex 2018, Cooler Master has shown several PC cases and we are going to do a quick roundup of all the products. 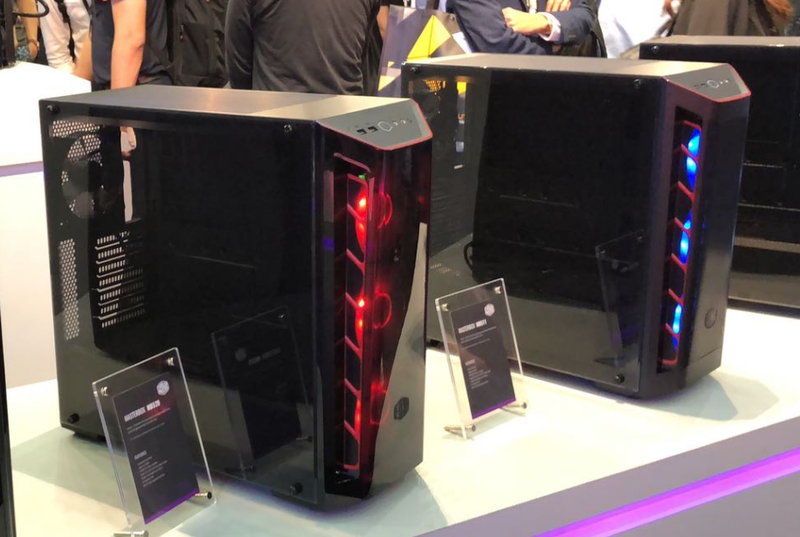 Next to the redesigned Cosmos and HAF cases, Cooler Master has unveiled three models based on the new MasterBox series. The MasterBox lineup includes three models based on the same steel frame and side panel designs but the front of each case is different. The MasterBox MB511 comes with a huge mesh on the front which should guarantee a good airflow, while the MasterBox MB520 swaps out the mesh panel for a transparent panel with integrated LEDs. Last but not least, the MasterBox MB530P features aggressive intakes on the front paired with addressable RGB fans. As we've already mentioned in the introduction, Cooler Master has also shown two redesigned cases: the Cosmos and the HAF. Although they are both based on the same old exterior design, they now features RGB functionality, a cleaner layout and extended water cooling support. The Cosmos C700M features a removable motherboard tray which can be rotated to offer a different layout. Due to the size of the chassis, you can install almost anything inside this particular case. The chassis features a simple and sleek external design, with a smooth front side panel and two curved tempered glass panels. With the new HAF H500, Cooler Master offers a case supporting a wide range of fans and water cooling radiators. Like the Cosmos C700M, also the upcoming H500 comes with tempered glass windows and a simple external design. Apart from that, the company has unveiled also the HAF H500M that includes in the delivery a couple of RGB fans. Last but not least the company has unveiled the MasterCase SL600M. 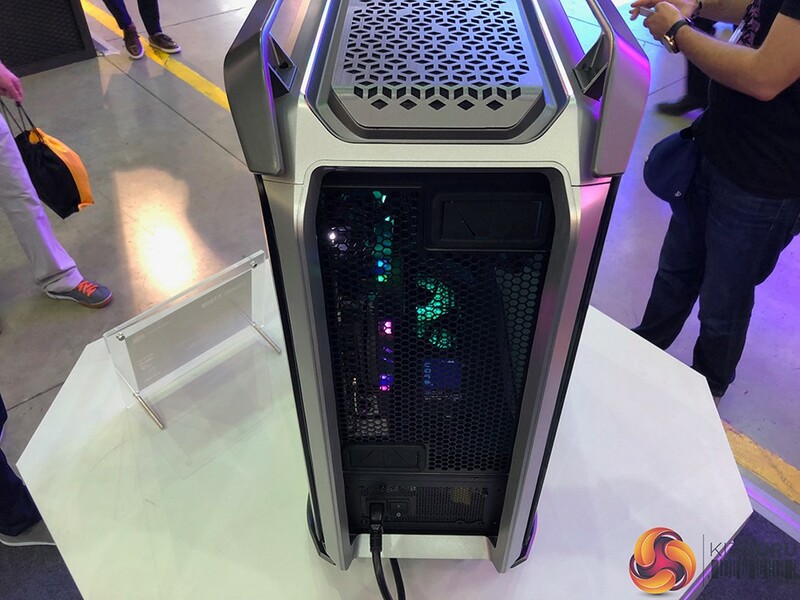 This case adopts chimney-based heat design and you will not find any fans in the front or in the back part of the chassis. The prefix SL stands for "silence" and Cooler Master has placed an asymmetrical mesh on the roof that should break up sound waves. The MasterCase SL600M sports reactive lights that automatically turn on when a movement is detected. So far Cooler Master has not revealed details on availability on these cases but we are sure we will know more during upcoming months.